MBS FileMaker Plugin 8.0 was released last week with the new search functions for various text areas in FileMaker. MBS FileMaker Plugin 8.0 or newer adds this great feature for everyone who has the plugin installed. No license required (but appreciated) as this is one of the many free features included with MBS Plugin. You can turn the feature on and off in our preferences dialog. Like all our additions to the FileMaker Development tool, we use very defensive programming techniques. The plugin registers the command-F shortcut here. If FileMaker ever itself needs Command-F, FileMaker comes first, so the plugin would no longer get the key press event. When we get it, we check if focus is on a text view, so for any other control, we just exit. Finally we check if there is a find bar, so if FileMaker ever starts registering one with the text view, we exit and don’t do anything. Another little thing added with the Command-F is the Command-Option-C shortcut to copy the formatted text of the calculation. This helps to copy calculations and paste them in a forum or on a blog. Download new plugin here. Let me know if you like it! Did you try our new Clipper plugin classes? Recently with the 18.0 release of our MBS Xojo Plugins, we added a new Clipper plugin part in the Tools plugins to use the Clipper library. As you see, you can do polygon clipping with intersection, union, difference & exclusive-or using ClipperMBS module. The ClipperOffsetMBS class allows to add offset to a polygon like the one on top right. And the bottom example is a rectangle with a triangle hole. We intersect with a second rectangle and get the new square area with the triangle hole. Der nächste FileMaker Stammtisch in Rhein-Main findet diese Woche am Donnerstag, den 1. Februar 2018 in Hofheim-Wallau statt. Themen diesmal FileMaker Konferenzen in 2018 und gerne auch Fragen an mich zum MBS FileMaker Plugin 8.0. Zur MBS Plugin Schulung am 1. März 2018 sind noch Plätze frei. BKeeney Software, a Lenexa, Kansas software consulting company is looking to add a talented developer to their consulting staff. We have been creating cross-platform applications our international clients as well as internally developed products for applications developers for over fifteen years. The resurgence of the Macintosh has driven our business growth. The ideal candidate should have a minimum of two to three years of experience in an objected oriented development language creating commercial desktop and/or web applications. The candidate should enjoy learning new languages and techniques. A B.A. or B.S. in Computer Science or equivalent is preferred. Experience with the Xojo (Real Studio) development platform is a plus. Experience with Objective C, Xcode or web app development is a plus. Candidates must be familiar with Macintosh OS X and Windows from a development standpoint. Linux is a plus. Experience with iOS development is a huge plus. Candidates should be comfortable using SQL as most projects involve a database (either local or server). We support projects using MySQL, SQLite, and PostgreSQL databases. Candidates should enjoy the challenge of working on full life cycle projects. This includes requirements gathering, coding, documentation, testing, and follow up work and changes from the client. Previous consulting experience is a plus. Candidates must have a suitable work environment in their home. Our offices are virtual with regular interactive meetings. Candidates must have the discipline to work in their home environment and get their work done. Proven experience with work from home development is a plus. The candidate should have excellent communication skills and be able to interact with clients in a professional manner via phone, email, and video conferencing. Strong analysis and problem solving skills are required. Candidate must be able to manage multiple priorities. Attention to detail is a required skill. Send us your resume and introduce yourself! Due to client restrictions candidate must be U.S. Citizen or green card holder. No recruiters please. Preference will be given to full-time candidates, however, consideration will be given to candidates who would prefer less than full-time (e.g., 20 or more hours per week). This dialog simply tells you that no license key was used and Register function never called. The dialog includes the version of the plugin "8.0.0.11", the name of the function called "SystemInfo.HostName" and a few numbers. First number is how often Register was called and here it's zero. Sometimes it shows a high number, if a script tried to register with an invalid or expired key very often. The second dialog shows you that your license key expired. To help you find the script, we include the key there for reference. The third dialog shows that you called Register really often, here eight times. Better check scripts on what is going on. We recommend to check with MBS("IsRegistered") = 0 to make sure you only register when needed. The forth dialog shows you that a license key is not allowed for the current platform. e.g. iOS license in FileMaker Pro, a Server key in a Runtime or a RunTime key on a server. If you need, you can always upgrade to our ProDeveloper license which includes servers, iOS, Runtimes and clients. If you have trouble, please do not hesitate to contact us. In fact, with a valid license key, you should never see those dialogs. This dialog simply tells you that no license key was used and Register function never called. The dialog includes the name of the plugin "Overlay", the version of the plugin "17.4", the date it was compiled "Sep 25 2017" and the process ID. The last one helps to figure out which application shows the dialog in case you have several candidates. Simply lookup in Task Monitor, Activity Monitor or any other tool which application has this process ID. Than you can add your license call in app.open event and enjoy our plugins. While you debug the application, we do not show this dialog, so you only see it in built applications. The second dialog simply tells you about an outdated license key. So your key is from 2017 and the plugin from 2018, so please order an update. The third dialog appears when you use the plugin in your application before calling the register function. Later when you register, we notify you that the plugin was used before license dialog showed up. This can cause problems like, one part of the plugins misses license key (used before), but other parts have a license. Please make sure registration is done early in the application. For the forth dialog, you need to mix different version of the plugins. That is a bad idea as we change data structures for C++ from time to time. If two plugin parts share the same data structures and they have a different layout, the application may crash accessing values there. Luckily the plugin tells you the names of both parts and the process ID, so you can locate the application. Sometimes this happens, when you install an newer over an older application and some DLLs are not properly updated. As you may know we support loading Java in both Xojo via MBS Java Plugin and FileMaker via Java functions to call java code. Due to a change in Java 9, the existing plugin doesn't find the jvm.dll on Windows automatically. You can of course just pass the right path to the functions to load it and bypass the automatic. For Mac and 32-bit applications, you can install Java for OS X 2015-001 and if you run our examples, they will simply work and return java.version with "1.6.0_65". But for next plugin version we added code to find the latest Java version and load it's library automatically. So you don't need to pass in the path. For Windows in a 64-bit app you get "9.0.4", if you get the Java 9 library loaded and query java.version system property. To have this work better, we improved the loading code there, too. So for the upcoming version 18.1 (Xojo) and 8.1 (FileMaker) of our plugins, you should be able to use Java 6, 7, 8 and 9 easily without hassle. If you want a specific version, you can always pass in the file path. If you like to try it soon, you can always contact us for a test copy of the plugin. Für MacOS und iOS haben wir neue Funktionen für die Spotlight Suche innerhalb von FileMaker. Sie können den Suchbereich festlegen und die Suchbegriffe bzw. eine Formel, die verschiedene Attribute mit Werten vergleich. Damit können Sie nicht nur einfach Dateien finden, sondern auch die Metadaten aus dem Suchergebnis auslesen. Wenn Sie Ihre FileMaker Lösungen auf MacOS entwickeln, können Sie von einigen Erweiterungen im Skript Arbeitsbereich profitieren wie unsere Farben in Skripten und Berechnungen. Neu in dieser Version ist die Tastenkombination Befehl-F um in diversen Texten zu suchen. So können Sie Texte in Formeln und eigenen Funktionen suchen und ersetzen. Mit Befehl-Alt-C können Sie formatierte Texte aus Formeln kopieren und zum Beispiel im Forum posten. Für iOS unterstützen wir viele neue Funktionen. Dabei sind jetzt PDFKit Funktionen um PDFs zusammenzufügen, AVExport Funktionen für den Video Export, CGImageSource Funktionen für HEIF Bild zu konvertieren, Zwischenablage Funktionen und Events Funktionen um Kalendereinträge und Erinnerungen zu erstellen, auszulesen und zu bearbeiten. Unsere DynaPDF Funktionen haben eine verbesserte DynaPDF.ExtractText Funktion um den Text einer Seite zu extrahieren, optional auch innerhalb eines Rechteckes. Die DynaPDF.RenderPDFFileEx Funktion kann jetzt alle PDF Seiten in einem PDF Dokument in einen Ordner als Bild schreiben. Für CURL bei Windows haben wir die Unterstützung für IDN Domains eingebaut, so dass auch Umlaute problemlos funktionieren. Das funktioniert bei Windows Vista oder neuer. Bei Windows XP bekommen Sie eine Fehlermeldung. Beim Mac übergeben wir jetzt alle Optionen mit Dateipfaden korrekt kodiert als UTF-8. Die XL Funktionen können nun Bereiche von Zellen lesen und schreiben, so dass Sie Daten im Block auf eine Seite schreiben können. Beim Laden geben wir bessere Fehlermeldungen zurück und wir erlauben das teilweise Laden eines Dokumentes um nur einige Daten auszulesen. Unsere CSV Funktionen zum Einlesen bzw. Importieren erlauben jetzt neben Komma und Semikolon auch Tab als Separator und verarbeiten mehrzeiligen Text besser. Für LDAP haben wir neue Funktionen, bei denen die Daten im JSON Format übergeben werden. Für die QR-Codes in der Schweiz haben wir ein neues Beispiel. Die Druckerdialog Funktionen am Mac haben eine neue Funktionen um die aktuelle Konfiguration zu speichern und wieder zu laden. Außerdem haben wir auf Xcode 9.2 aktualisiert, CURL auf Version 7.57.0, OpenSSL auf die Versionen 1.1.0g und 1.0.2m, DynaPDF auf Version 4.0.15.42 und SQLAPI auf Version 4.2.1. Nickenich, Germany (January 23rd, 2018) -- Monkeybread Software releases version 18.0 of the MBS plug-in for Xojo. We got a new Clipper plugin part inside our Tools plugin. The ClipperMBS module performs line & polygon clipping - intersection, union, difference & exclusive-or, and line & polygon offsetting. Please play with new example projects to see what it can do for you! Our CSV Split function now supports tab character as separator and better handles multi line texts. For MacOS and iOS we have new functions to do spotlight search within your FileMaker application. You can specify the search scope and the search expression and than you can query not just the file paths but also metadata about found items. When you use FileMaker for development on MacOS, you can benefit from our syntax highlighting and various enhancements to the script workspace. New in this release is the Command-F shortcut for various windows to search text within a custom function or calculation. Using Command-Option-C you can copy the formatted text of a calculation and post it to a forum. For iOS a lot of more functions are now supported. This includes PDFKit functions to merge PDF files, AVExport functions to export videos, CGImageSource functions to convert HEIF images to PNG or JPEG, Clipboard functions and Events functions to work with calendar items and reminders. Our DynaPDF functions got an improved DynaPDF.ExtractText function to extract text of a page, optionally inside a rectangle. The DynaPDF.RenderPDFFileEx function writes images for all pages of a PDF file to a given folder. For CURL on Windows we added support for IDN domains, so you can use umlauts and other special characters in domain names there. This requires Windows Vista or newer and will return error on Windows XP. On Mac all file paths passed into CURL functions are now properly encoded, always as UTF-8. The XL functions can now read and write areas of cells, so you can batch write data to the sheets. For loading, we better return errors and we allow to load files partially to faster query only some data. Our CSV Split and Import functions now supports tab character as separator and better handles multi line texts. For LDAP we have new JSON based functions to pass LDAP records or query them as JSON data. For switzerland we got a new sample database to show how to make swiss QR-Codes. Our PrintDialog functions on Mac can now store and restore the configuration, so you can save the printer setup. Finally we updated to Xcode 9.2, CURL library to version 7.57.0, DynaPDF to version 4.0.15.42, OpenSSL to 1.1.0g and 1.0.2m and SQLAPI to version 4.2.1. Some of our clients love to make applications to edit photos and want to display them in the correct colorspace. You can sign up for MBS Newsletters on our website. We keep you informed about new plugin versions, local events, conferences and special offers. Emails are sent out in average once a month, so it shouldn't fill your mailbox. If you provide an address, we can make sure we include you for local events in your area. Like when we attend meetings, we usually email people 100 km or miles around to let them know we are coming. Looking for a trial license key? You can get one here: Trial License Request Form. This example uses the DynaPDFParseInterfaceMBS class from DynaPDF Pro to walk over all PDF commands drawing a page, so we get all the text output as well as matrix changes, font setting and state saving & restoring. We keep track of the current matrix with DynaPDFMatrixMBS class and collect the text records with DynapdfTextRecordWMBS class for Unicode or DynapdfTextRecordAMBS for font specific encodings. In latter case we convert the characters using current font to unicode text. The example will be included in 18.0pr9 later today and in the 18.0 release next week. To use this code in a shipping application, you need to order the DynaPDF Pro license from us for use with the MBS Xojo DynaPDF Plugin. Once again a client asked for some help with image editing in FileMaker . An imported picture should be scaled to a given size and than be cropped to a round image. Of course there are no round images, just images with alpha channels to give the illusion the image may be round. We created the following example script to first read in the image from a container field. We create a temporary image with transparent background of the source size and composite the existing image into that. Next we scale it to the requested size. As you see this is a multi step approach and looks complicated, but sometimes you need to prepare an extra image for the mask (or alpha channel) you like and compose things together as needed. You can extend this and draw some text on top, some border around or watermark it with a logo. PS: Looks like MBS FileMaker Plugin has more GraphicsMagick functions than FileMaker has built-in functions for calculations. As stated in the FileMaker community, registration will open in February. The training on Monday 6th will cost $399. Keynote will start later that evening, probably at 6pm and is followed with the welcome reception. Prices for the conference are $1299 Early Early Bird - through March 15, $1399 Early Bird - through May 31 and $1499 USD Standard. This is a fantastic conference hotel with 1500 rooms, 10 restaurants, several pools indoor and outdoor. And as may know this was my guess for the conference hotel. Registration starts end of February 2018. Rooms can be reserved on the hotel website ($189 +tax per night). As you can cancel rooms and they may run out of them, you better reserve now a room and block the week in your calendar! See you there at the MBS booth. Wer hat Interesse an einem FileMaker Entwicklertreffen im März 2018 in der Nähe von Passau? Einfach in gemütlicher Runde treffen in einem netten Restaurant und beim Abendessen was über FileMaker und/oder Xojo schnacken. Vielleicht habt ihr ja auch Fragen und Probleme, wo ich helfen kann? Xojo Inc. just announced that the Xojo Developer Conference 2018 in Denver may sell out soon as there are only 25 tickets left. If you haven't registered yet, the time is now! Save $100 by Feb. 16, but register soon to guarantee you'll have a spot! See also Things to do in Denver beside XDC and MBS Xojo Conference in September 2018 in Munich. Wer hat Interesse an einem FileMaker Entwicklertreffen am 27. oder 28. Juni 2018 in Hamburg? Einfach in gemütlicher Runde treffen in einem netten Restaurant und beim Abendessen was über FileMaker schnacken. Vielleicht habt ihr ja auch Fragen und Probleme, wo ich helfen kann? Einfach in gemütlicher Runde treffen in einem netten Restaurant und beim Abendessen was über Xojo schnacken. Vielleicht habt ihr ja auch Fragen und Probleme, wo ich helfen kann? Due to the Xojo Developer Conference, we will come to Denver, Colorado in April 2018. So let's organize a FileMaker developer meeting! Dates is around 20th to 28th April 2018 on one of the evenings. With MBS Plugin we optionally change the colors to be more black/white and make the panel resizable. This looks like this for version 7.5 in the right panel. We highlighted the triangle in the right screenshot. Enjoy! The dialog is localized and may look different depending on your language. But as we know the plugin function work independent of the texts, so it should work fine in any language. With the MBS Xojo DynaPDF Plugin, you can digitally sign PDF files. This works with 1024bit keys from PKCS#7 certificates. But DynaPDF does currently not support longer keys. But well, we do have a MBS Xojo Encryption Plugin with an OpenSSLMBS module including signature functions. With the PKeyMBS and X509MBS classes we can read the PKCS#12 files, get certificates and private key and sign the SHA1 hash from the PDF data. Due to the CURL conference, we will come to Stockholm in April. So let's organize a FileMaker developer meeting! Anyone interested? Dates is around 12th to 16th April 2018 on one of the evenings. We are very pleased to announce that we are now accepting entries for the Xojo Design Awards, which honor excellence in software design! The deadline for entry is March 1, 2018. The awards will be presented at XDC 2018, The Xojo Developer Conference, taking place April 25 - 27 in Denver, Colorado. The criteria on which the software will be judged includes: creativity, ease of use, design, utility and best use of Xojo technologies. All software submitted to the Xojo Design Awards must be shipping at the time the software is entered (no beta software permitted). Each winner will receive an engraved Xojo Design Award and the right to use the Xojo Design Award logo in marketing materials. For more information or to submit an entry, please visit www.xojo.com/designawards. Today we signed up for a booth for the upcoming FileMaker DevCon 2018. Please come by and say hello. Registration starts end of February 2018. Rooms can be reserved on the hotel website. As you can cancel rooms and they may run out of them, you better reserve now a room and block the week in your calendar! See you there. The very early bird offer is set to expire this week (9 months before conference) for our European MBS Xojo Conference 2018 in Munich. If you like to join for the best rate or become a speaker, please contact us soon. Monkeybread Software is pleased to announce the MBS Xojo Conference in metropolitan Munich, Germany. 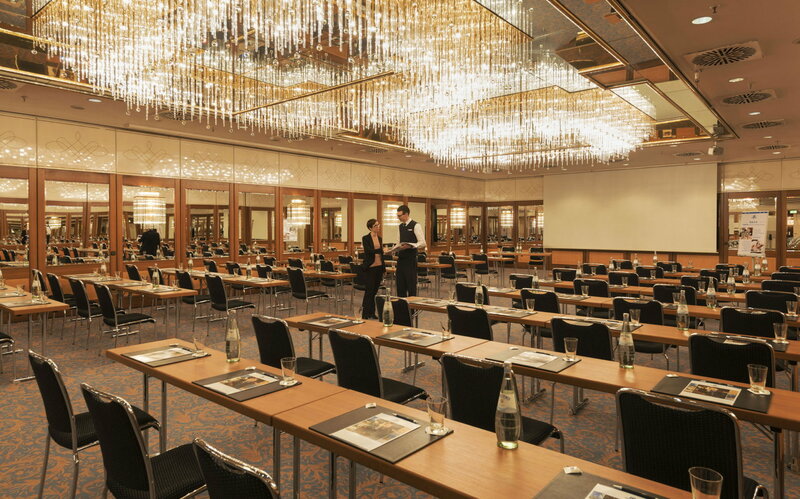 We meet in the lovely Maritim Hotel in the center of Munich. The hotel is near the main station and in walking distance to the city center. Beside our two conference days we have accompanying social programme with our dinner event and optional two training days. For the evenings we have casual get-together in the hotel bar or beer garden. As date and location is set, we are now looking for interested speakers to join our conference. If you have an interesting topic, feel free to propose a session. We look for sessions to present applications made in Xojo, best practice, looking deeper on a Xojo features or presenting a product for Xojo developers. Registration is open. The early bird offer available till 6th January is just 399 Euro plus VAT. Attending the conference costs regularly 699 Euro plus VAT, including food and beverage in the Maritim Hotel as well as an accompanying social program. See also XDC 2018 in Denver next year. Unicode was supposed to solve all our text encoding problems, but there are tricky aspects. Find out what a BOM is and how to support it. Imagine the best of FileMaker and Xojo with none of the limitations. How is that possible? by using the two together, you can take advantage of the strengths of each! Did you go to the conference in London in November? Marc did, and he had a great time on his first-ever visit to England. Find out what you missed! There are web APIs for getting data on the Web, but sometimes data scrapping is easier. Marc demonstrates two methods of getting stock prices. Jose shows how to design a proper data model for his previous Health Data project. He refactors the old code so you can see how to update an existing design. Plus: Xojo 2017R3, disaster recovery, packaging Linux apps, scope, and more! Fixed bug search for FileMaker 15 to redraw table when editing search text to give instant search results (failed only in FMP15). Fixed bug in DynaPDFMBS.ExtractText function to avoid crash with tracing.